Melt butter in medium pan over medium heat. Add the cream, garlic, and pepper and simmer for 10-12 minutes or until thick. 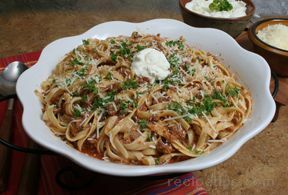 At the same time, bring 4-6 quarts water to boil and add pasta. 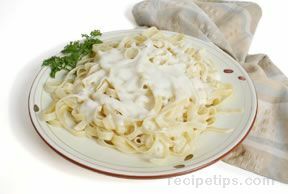 When the Alfredo sauce has reached your desired consistency, stir in the parmesan cheese. 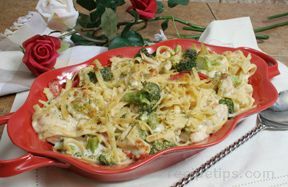 When the pasta is cooked, drain and serve the pasta on plates with Alfredo sauce poured over the top.